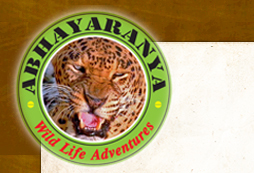 We ABHARANYA TOURS Are Based in Dandeli Which Is Pitcuresque township set amidst the backdrop of the Western Ghats forest in the South Indian State Of Karnataka. We Believe In Having Fun With AN Absoulte Natural Way Full of Nature, ghats, valleys, water falls, thick evergreen forests etc. Abhayaranya the one and only firm giving you joy and fun with real thrill, and for all this we require is your dare and true faith and confidence on us. we assure you 100% adventure activities with our professional team of Naturalists, We Are totally into adventure activities as well as we are also the Govt Authorised Service provider for the resorts booking in Dandeli and also outskirts of dandeli covering the part of Karnataka.